In 3-quart saucepan, heat oil over medium heat. 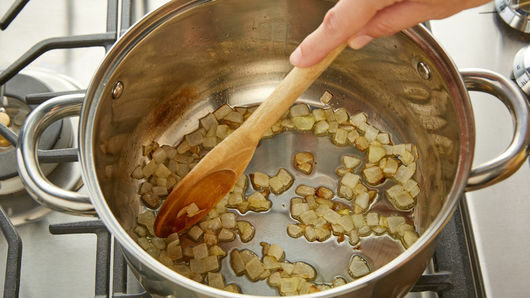 Cook onion in oil about 5 minutes, stirring occasionally, until tender. Stir in crushed tomatoes, chicken broth, sugar, salt and pepper. Cover; simmer over medium-low heat 15 minutes. Remove from heat; stir in half-and-half and basil. Carefully pour half of mixture into blender. Cover; blend on high speed about 30 seconds or until smooth. Place blended mixture in bowl. Repeat with second half of mixture. Return blended soup mixture to saucepan; heat over medium-low heat until heated through. Top servings with Parmesan cheese. To make ahead and freeze: Make soup as directed in steps 1 and 2; cool to room temperature. Place in 1-gallon resealable freezer plastic bag. Seal bag. Lay flat and freeze up to 3 months. When ready to use, thaw in refrigerator overnight or until completely thawed. Heat in 3-quart saucepan over medium heat; stir in half-and-half and basil. Continue with step 4. 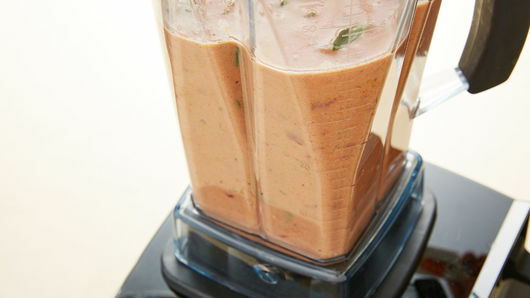 If you prefer chunky tomato soup, skip the blender step. Serve the soup with chunky herb-seasoned croutons. Garnish with fresh chopped basil, if desired. Tomato soup is a simple comfort food that can be prepared in a variety of ways. The obvious, most important ingredient is, of course, tomatoes. Sometimes they are pureed smooth, while other recipes call for the soup to be chunky. The tomatoes are usually mixed with a cream, broth or stock and can be topped with fresh basil or croutons, or even served with grilled cheese. Tomato soup is not only a traditional comfort food in American culture, but all over the world as well. Spain’s version of tomato soup called gazpacho is served cold during the hot summer months to help people cool off. 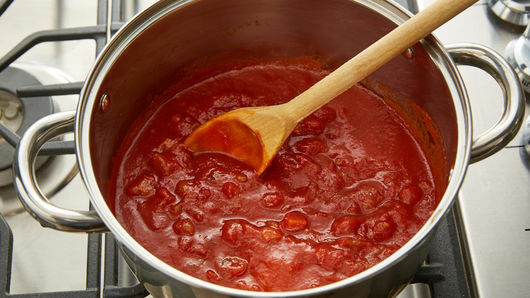 Whatever way you decide to prepare your tomato soup, almost everyone can agree: it’s simple and delicious! 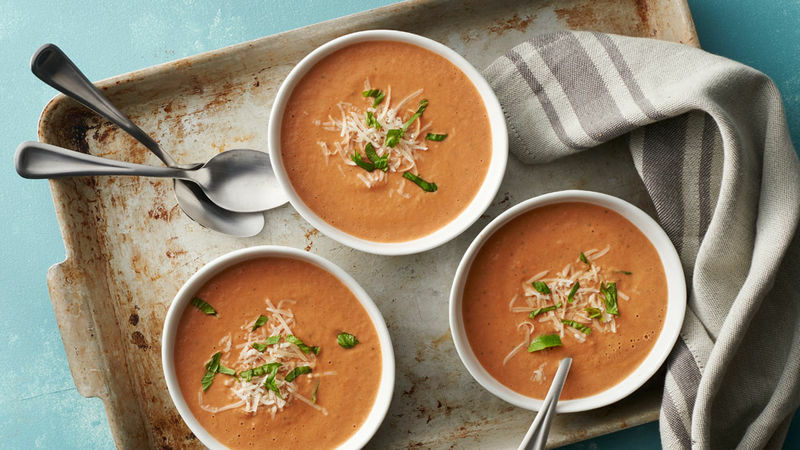 We are a big fan of this creamy tomato basil soup recipe because of its taste, but also because you can prep it ahead of time. If you want to try other kinds of tomato soups, we have plenty of recipes for you Jazz them up with these easy ideas for toppings and sides, too.